A day ago on October 24, Block B's Jaehyo, who happened to be vacationing in Guam, updated his Instagram with the following: "Completely drained after being out in typhoon Yutu's rain and winds in Guam." ??? ?? ?? ??? ?? ???? 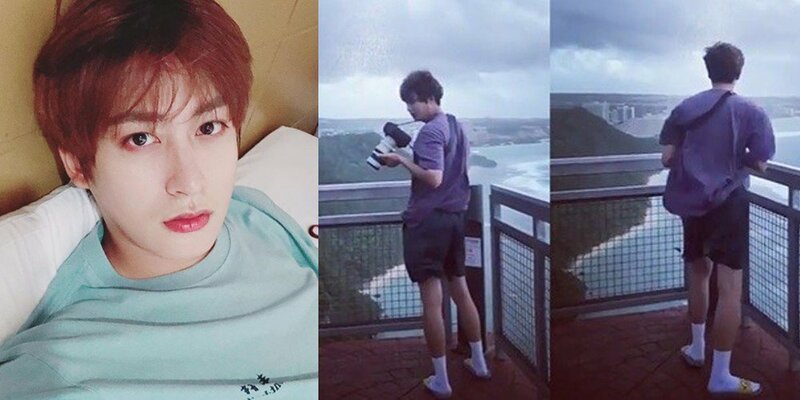 The idol then updated his Instagram with a photo of him outside again, writing, "It's just a typhoon..."
Then finally, several hours after that post, Jaehyo shared a brief video of the winds he experienced in Guam, as well as assuring fans that he's not casually sitting outside during the typhoon, but is back safe in Korea! He said, "Typhoon... got delayed 12 hours, whoo. I've safely arrived in Korea! Almost blew away though." ??.. 12?? ???? ? ?? ??? ??? ??????! ???? We hope everyone in Guam stays safe!